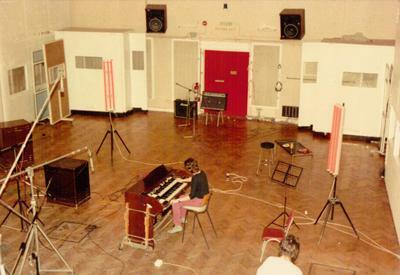 That's me in your above photos with the J37s in April 1985 while I was recording my first solo album. My brother snapped this photo in the hallway into studio 2. You can see the door into Beatles famed number 2 studio behind me. 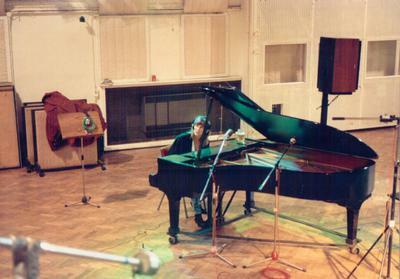 I had the pleasure recording songs for three of my cds at Abbey Road from 1985 to 1995. 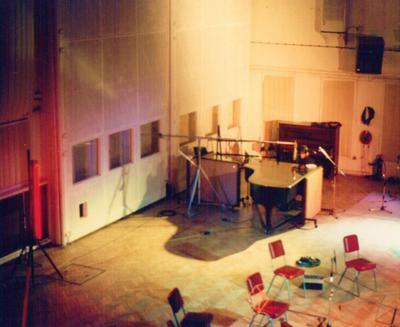 The last time I worked there I got to meet Paul McCartney and George Martin while they were working on The Beatles Anthology series. All good stuff my friends. 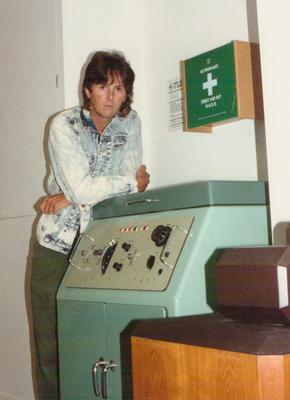 I'm not sure if the wrong caption is with the photos, but that tape machine is a modified EMI BTR2, not a Studer J37. Join in and write your own page! It's easy to do. How? Simply click here to return to Studer J37 Tape Machine.